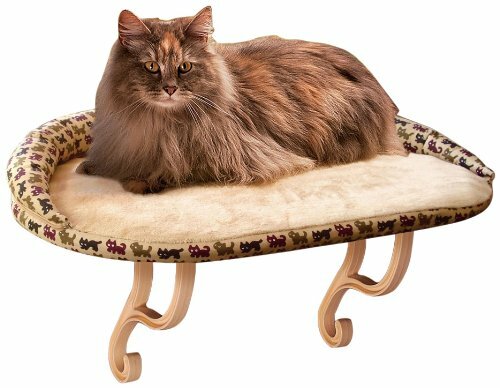 A cat shelf is one of the simplest addition to your home that will increase your cats happiness instantaneously. Cats love to be in an “observing” position because by knowing what’s going on around them they are more relaxed. Of anything that you can purchase cat shelves is one of the best investments that you can make, and they last for years. They install quickly and easily. 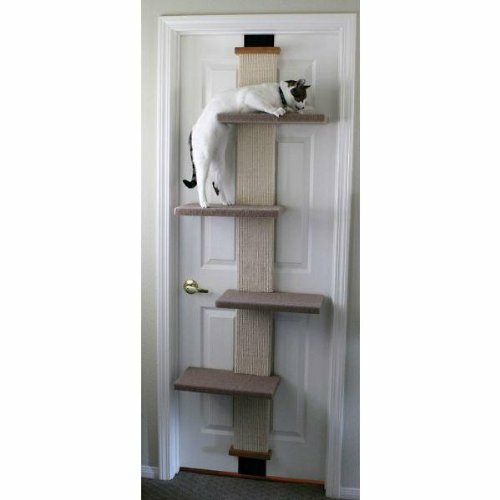 Between a cat tree and a cat shelf your meow will be in seventh heaven. Cat shelves come in lots of shapes and sizes. We recommend can you first look and what’s available for sale and then pick out a space in your house bo ensure it’ll fit okay. What’s The Optimal Place To Locate? The room you frequent the most like the living room, family room, great room, etc. Close to a window if possible. Close to furniture that can be used as “steps” to the shelf. About 5-6 feet off the ground. Cats like to be in a higher up position. If you have a register or heat vent located close by that’s optimal. Cat’s love to fee the rolling heat coming up the wall. For the happiness it brings to your cat the investment is minimal. That being said they typically run between $25 and $200 dollars. They come in different materials such as plastic, wood and metal. Depending on your choice greatly influences the price. 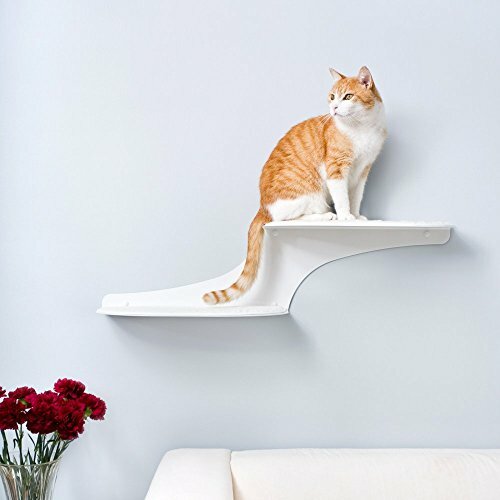 There are a lot of cat shelves to choose from and they’ll make the highlight of your room. You feline friend will have hours of enjoyment and so will you. Please write back and let us know your experience.